Flying in or out of Rome Italy Ciampino airport? 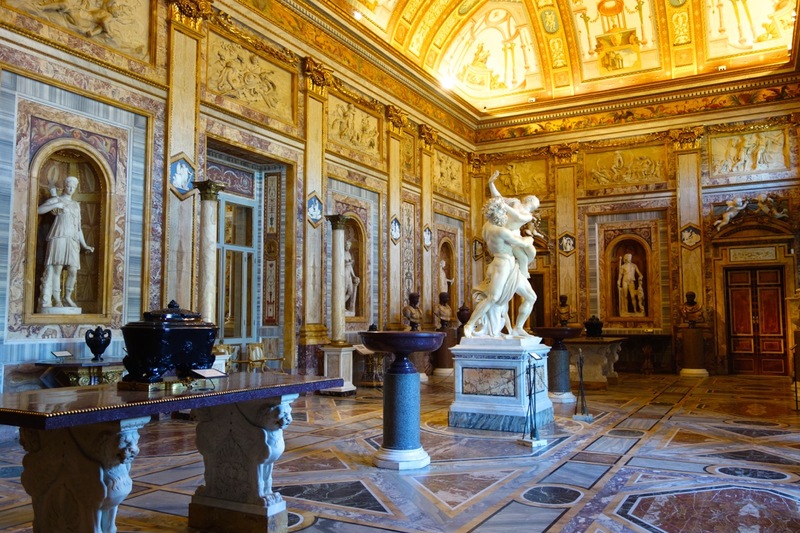 Rome's second airport is a great option for cheap flights and proximity to the city center. You might fly in and out of Ciampino if you are on a budget flight within Europe. Ciampino is 12.5 km, or 7.5 miles from Rome's city center, a bit closer than Fiumicino. There are lots of ways to get into Rome from Ciampino airport. But in my experience, there are two ways people use the most: Terravision bus, and taxi. Rates are extremely competitive and usually max 5€ Euros one way if you buy a round-trip ticket. The most popular and commonly used is Terravision. Book your round-trip ticket between Rome Italy Ciampino airport and Rome for 10€ here. Once you arrive at Rome Termini station, you then can take a taxi or the Metro/bus to get where you are going. The Rome City pass includes R/T transportation on Terravision between Ciampino airport and Rome. It also includes skip-the-line-tickets to the Colosseum AND the Vatican. If you take an official, white, metered city taxi from Ciampino airport to Rome, the fixed rate is 30€ one way. This includes luggage and there should not be any extra "fees." This official rate is posted on the outside and inside of the car. All Rome city taxis are required to have a POS machine so you should be able to pay with credit card. You can book and pay in advance. The rate is fixed and guaranteed. Your driver will be waiting for you as soon as you collect your luggage. He/she will take your luggage for you and accompany you to the car, load the luggage for you, and unload it at your destination. You will travel in style. You will literally go from door to door. One final reason you may want to book a private car service to the airport - sometimes Rome can be prone to public transportation strikes (making regular taxis hard to come by), and/or taxi strikes. The private limo services are always exempt from these strikes. A good in-between option is to book a shared shuttle. This means you can book and pay in advance, but to keep costs low, you will share the ride with other passengers. This may mean waiting for others, and of course riding to stops around Rome before you are dropped off. It just means it MAY take longer to get to your destination than if you take a taxi/limo, or even the bus into Termini. There is public transportation from Ciampino. You can take an Atral or Cotral bus (1.20€ pp PLUS 1.20€ per piece of luggage) to the train station in the town of Ciampino. Then it's 1.50€ to get the train from there right into Termini station. Or, you can take one of the above buses to the Anagnina Metro station, and then get the metro to Termini (1.50€) from there. Here's why I think this solution is just not that convenient: First you have to wait for the bus at the airport. Then you can catch a train or Metro. That is two means of public transportation you have to wait for (unless you are lucky and time it just right.) Not to mention the hassle of moving your luggage around twice. Total cost for either of these solutions is just under 5€ (depending on the amount of luggage you have.) Since the bus costs 5€ one-way, I don't see the point in taking public transportation, which will be more work and more waiting, less reliable schedule-wise, and hardly cost much less. In my experience, the most popular method of getting to Rome Italy Ciampino is by bus. It's easy, quick, reliable and cheap. There are several bus companies that go to Ciampino. They all compete with each other so rates are about the same. Terravision may be the one people know and use most. You can catch the (Terravision) bus at Rome Termini (but not Tiburtina.) You can also book online, which can be a good idea in high season, as ticket-holders have priority over non-ticket holders. If you don't have a ticket you may not get on the bus you want. This can be an issue if you are running late or cutting it close. If you take an official, white, metered city taxi from Rome to Ciampino airport, the fixed rate is 30€ one way. This includes luggage, and there should not be any extra "fees." Usually you can simply call (or have your hotel concierge call) for this taxi right when you are ready to leave. Rome city taxi with official airport rates posted on the door. You can also find taxis at taxi stands around Rome, and at any of Rome's train stations. The rate is posted on the outside and inside of the car. All Rome city taxis are required to have a POS machine so you should be able to pay with credit card. Taking a private car service from your hotel/apartment to Ciampino airport should cost about 50-60€ for up to 3 people one way. You cannot really find these drivers at the train station, and should book in advance if you want this service. Private limo service is the nicest way to get from Rome to Ciampino airport. It costs more, but your service, pickup time, and rate are guaranteed. It's obviously more expensive than taking a city taxi, which costs only 30€. But you may want to use this service for peace of mind knowing you have a confirmed pickup time, with a confirmed rate. And an actual confirmed ride...sometimes there are not taxis waiting, in particular during a busy season or time of day. The shared shuttle can be a good in-between solution for getting to Ciampino from Rome. It's a little more than taking the bus, but less than a taxi. You will ride with other passengers, and may have to go around to different stops in Rome while the drivers collects other riders. For this reason, the shuttle services will tell you that the pickup time is quite a bit earlier than you might have planned. But if you book in advance, and know the departure time, it's an easy, affordable solution. Also, they pick you up right at your hotel/apartment. I cannot really recommend this method of getting from Rome to Ciampino airport. Sorry. There is nothing wrong with public transportation in general, and I use it all the time to get around Rome. 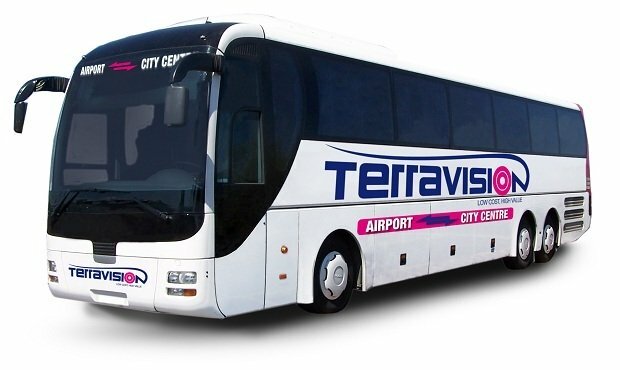 However, in the case of getting to Ciampino airport, it doesn't cost much less than the 5€ one-way fare that Terravision (and other bus companies) charge. And it involves at least one connection. From Termini, take the red line Metro A (1.50€) to the very last stop at Anagnina. From there, wait for the Atral or Cotral bus going to Ciampino (about every 15-30 minutes depending on which bus and time of day). These buses cost 1.20€ per person, plus 1.20€ per piece of luggage. Many of the major car rental companies have pick-up/drop-off at Rome Italy Ciampino airport. The garages are near the terminal, and there is a free shuttle that loops around between the car-rental garages and the terminal. If you want to check rates and availability for renting a car at Ciampino airport, check AutoEurope. Should you drop off your rental car at Ciampino airport? If you are staying in Rome, then I would recommend dropping off the car closer into the city, IF you are comfortable with Italian driving, especially city driving. Or should I say Rome driving. Really intense Rome city traffic - no fun! Most of the major car rental companies have drop-off points in different spots around Rome. I don't mean at the train stations (which can actually me more stressful and confusing than the airports.) I refer to neighborhood spots, especially near the Via Veneto, one of the most central spots in Rome. However, I find people usually prefer to pick-up/drop-off at one of the two airports, to avoid driving into the city. This is of course fine, but if you do want to drop it off closer into town, check with your rental agency for their city locations. Usually there is no fee to do this, and it can save you the hassle and expense of having to get into town from the airport. Are you thinking of renting a car after you land at Ciampino airport, and driving into Rome? You can certainly do this easily. Most of the major car rental companies have offices and car pickup at Ciampino. You do NOT need a car while you are in Rome. It's easy to get everywhere on foot or with public transportation. Or even city taxis. If you are staying anywhere in the city center, you will have to pay for parking, to the tune of at least 30€ per day. If you think you can just park in the street, think again. It will either cost to park in the street, or, you risk a hefty fine. Speaking of hefty fines, if you drive (even by mistake) into the "ZTL", which means zona di traffico limitato, you will definitely get a fine. Even months later. Trust me you will be fined. Most of Rome's historic center is off limits to cars other than for residents or city vehicles. Do you really want to contend with Rome traffic? It is a bit more stressful than you might be used to. Your accommodations are NOT in the city center, and/or there is easy parking. Perhaps you are staying in one of the hotels near Rome Italy Ciampino, before moving on the next day. Or if you are simply staying at one of the larger hotels just outside the city center. You know your way around Rome, have driven here before, and have a place to park. However, if your idea is that you will rent a car at the airport, spend a couple of days in Rome, and then drive on to Tuscany or the Amalfi coast, your best bet is the rent the car IN ROME, on the day you leave the city. Ciampino was once a military airport. Then it became Rome's tourist airport until the larger one at Fiumicino was built in the 60's. Ciampino became THE airport where most of the cheap flights to/from Europe flew in and out of. At the time of this writing (2017), only two airlines fly into and out of Rome Italy Ciampino airport: RyanAir and Wizz Air. Between the two of them, however, they reach hundreds of destinations all around Europe. Ciampino is not that far from Rome city center, so to me it makes the most sense to stay in the touristic center of Rome your last night, even if you have an early flight. The airport actually closes between midnight and 4:30am, so you could not sleep in the airport even if you wanted to. If you do want to stay near Ciampino airport, there are plenty of hotels nearby. One is literally right next to the airport, the Hotel Villa Giulia. Check for rates and availability hotels near Ciampino Airport here. There is one coffee shop before you check in for your flight. After you've checked in and headed inside the terminal to the gate area, you will find several options for eating, all of them fast-food. Some of these do offer healthy options too. There is not an elegant, sit-down place to eat at Ciampino. There is a small shopping area inside the departures terminal at Ciampino airport. You will find shops selling electronics, books, souvenirs and a few other things. It is not the best place to go shopping in Rome! There is a shop that calls itself "Duty Free" but considering the flights all go within Europe, I don't think the VAT has actually been removed. Perhaps some prices are slightly reduced. If you are wondering where to get your VAT refund at Rome Italy Ciampino, you won't. There is a Customs office in the airport, which is likely used for charter flights. But for the commercial flights out of CIampino, they are within Europe so there is no place to get the VAT refund there. Bottom line, if you are looking for your VAT refund in Rome, you will do this at Fiumicino airport, not Ciampino.